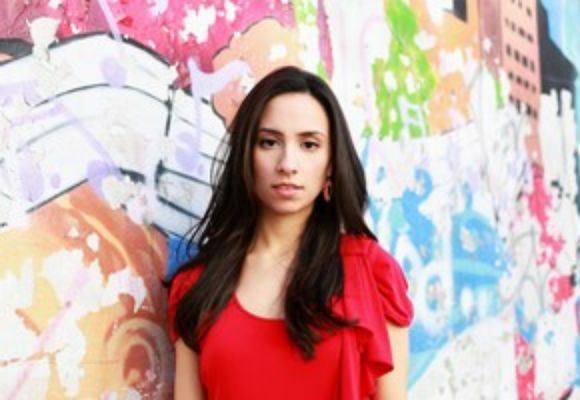 Vanessa Pereas voice is strong in the tradition of the masters. With a rare ability to sing diverse styles at the highest degree of authenticity, beautiful sound and sweeping range, Vanessa shows a confidence and poise beyond her years. Miss Perea was born on September 24, 1987 in Glenridge, New Jersey to a Cuban mother and Colombian father. In 2010 she received a BA in Music Education from New Jersey City University. There she studied with Grammy Nominated Jazz Vocalist, Roseanna Vitro, and internationally acclaimed soprano, Donna Zapola-Connolly. Vanessa can be seen at her shows throughout New York and New Jersey at distinguished jazz clubs such as Smalls, Zinc Bar, Birdland, Zeb's and the Hyatt in New Brunswick, NJ. She has shared the stage with musical luminaries including James Moody, Jimmy Heath, Charles McPherson, Randy Brecker, Dwayne Burno, John Lee, Claudio Roditi, and George Cables. Miss Perea's future continues to grow brighter with the release of her debut album, Play Date, with frequent partner, trombonist, Robert Edwards, coming soon.